Sarah Nicholson (left-center) and Aubrey Roberts (right-center) turn a corner. The two freshmen have acquitted themselves well in their first collegiate season. The path forward for Northwestern is becoming clear. In coach ‘A Havahla Haynes’ second season at the helm, the Wildcats haven’t obviously improved their team results from last year. But a look at who’s leading the way for the team in 2016 paints a rosier picture for the future — through four meets, many of NU’s best races have been run by freshmen. In particular, freshmen Aubrey Roberts and Sarah Nicholson have emerged as two of the team’s best. Against a loaded field of more than 300 runners at the Griak Invitational on Sept. 24, the duo both managed top-30 finishes and clocked in more than a minute and a half ahead of their teammates, proving their ability to compete at the highest level. Assistant coach Austin Brobst said the performance of Roberts and Nicholson hasn’t surprised him. Both Roberts and Nicholson came to NU with a pedigree that suggested the transition to college would be an easy one. Roberts ran away with the Wisconsin Division 1 state championship her senior year, winning by 38 seconds, while Nicholson took second in Missouri’s Class 4 state championships in her final high school season. Both were four-time All-State honorees who had 5K personal bests under 18 minutes when they arrived at NU. But transitioning to college, with longer races and more rigorous practice regimens, can still be a challenge for the most talented runners. Roberts said the Cats’ coaches have helped ease that transition by being smart with the young runners. The two emerging freshman stars have also helped maintain their improvement by staying healthy, Brobst said. Seniors Jena Pianin and Andrea Ostenso, who both earned All-Midwest Region honors their sophomore seasons, serve as cautionary tales on that front, as they struggled with injuries last year that set back their promising careers. So far, Roberts and Nicholson have avoided injury, allowing them to put full effort into training and acclimating to running in college. Junior Haley Albers said the freshmen have found a balance in their first years that has served them well. 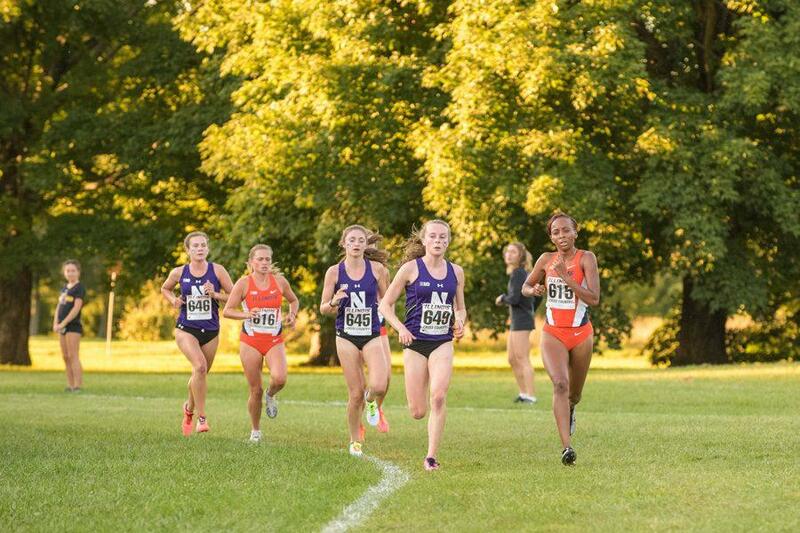 Saturday’s NCAA Pre-Nationals is NU’s biggest test of the fall season, held on the same 6K course that hosts the NCAA Championships. Brobst said the Cats are entering the closest thing to their first-choice lineup they have all season — a lineup that includes Roberts and Nicholson. The pair could be a foundation for Haynes to build on going forward. But for this weekend, Roberts said there are no specific goals.